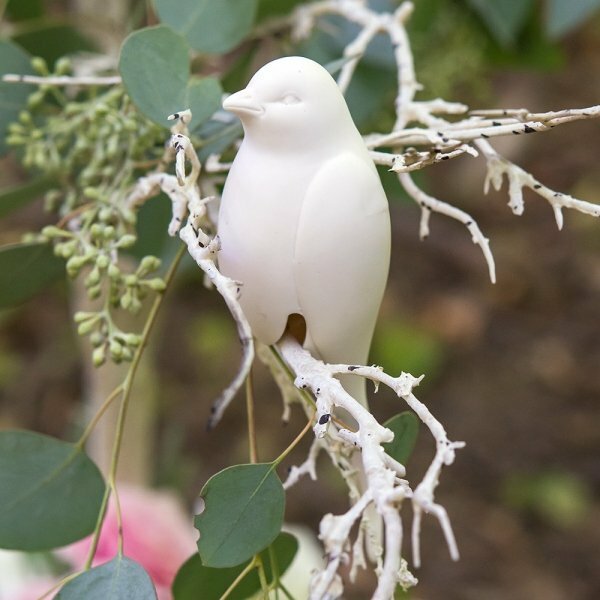 SHARE A stunning decorating detail, these Perching White Ceramic Bird Decorations will not go unnoticed! 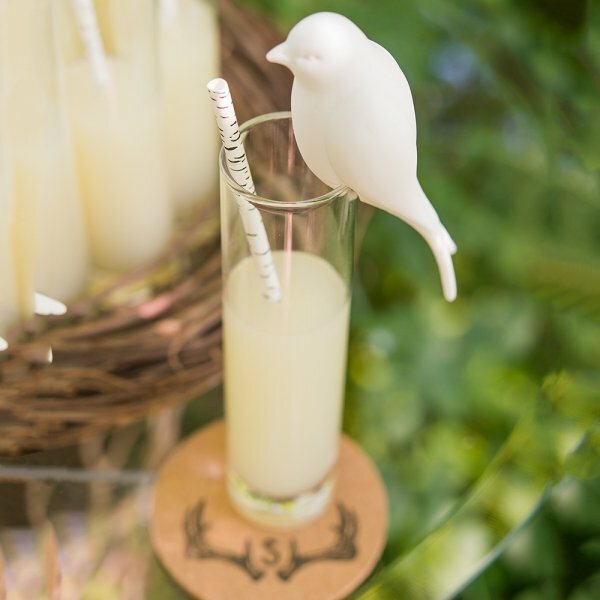 Designed to sit effortlessly on the rim of vases and glassware, they will add instant personality to your event tables. 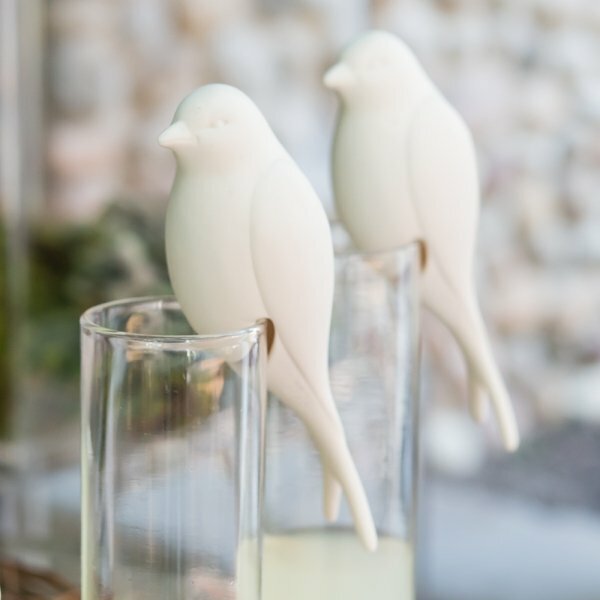 The white ceramic birds are a lovely addition to almost any wedding theme. Each one measures 1 1/2" x 1 3/4" x 5 1/4". Sold in sets of 4. 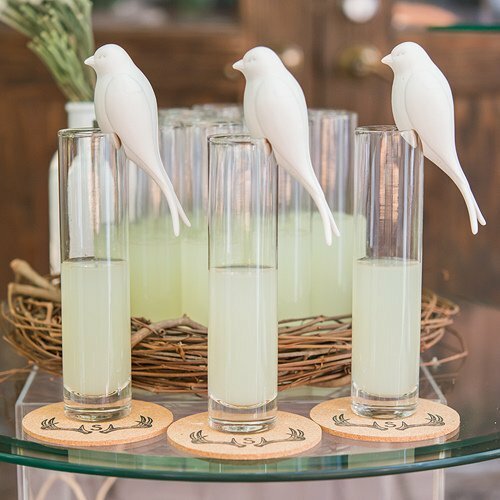 Vases/glassware not included. 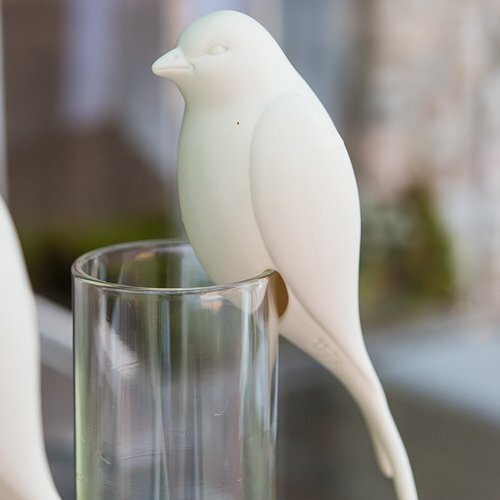 Perching White Ceramic Bird Decoration is more recommended for Vases or glassware.